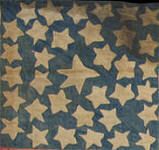 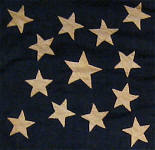 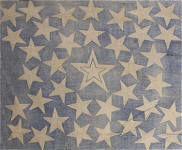 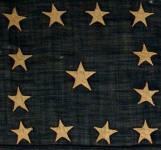 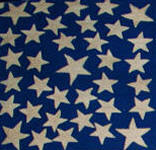 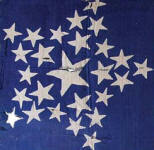 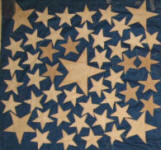 One term in flag collecting that is often misused is the term "Great Star Pattern". 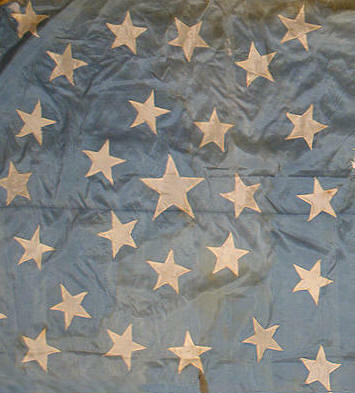 Even reputable auction houses and seasoned collectors sometimes refer to a flag containing a star that is larger than the rest as a "Great Star" flag. 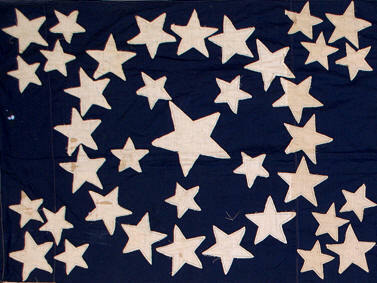 Great Star flags, though, are those where the stars on the canton collectively form the shape of a large star. 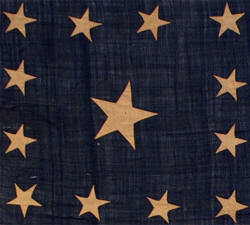 Examples of this can be found here. 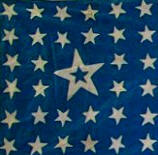 I call the large oversized star found at the center of a patterned flag the Center Star. 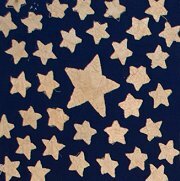 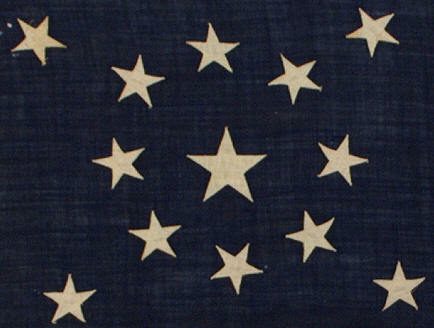 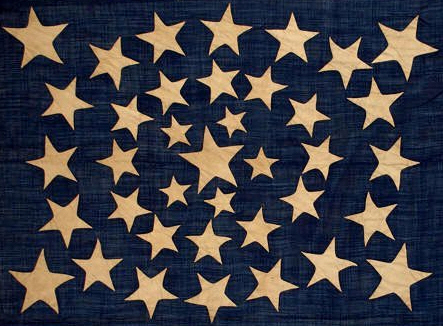 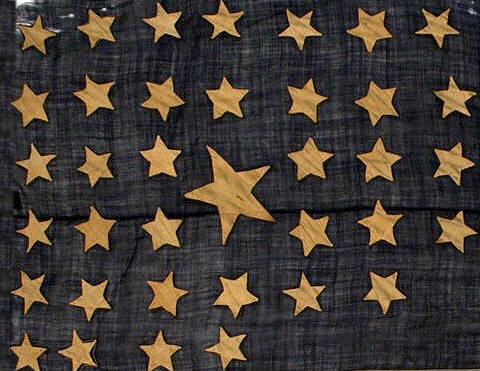 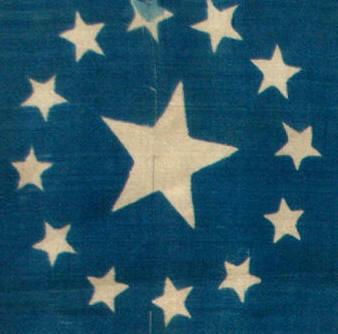 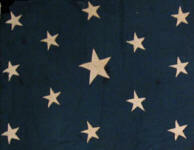 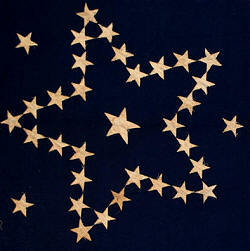 The presence of a large center star on a flag is surprisingly somewhat common on flags of the 19th century. 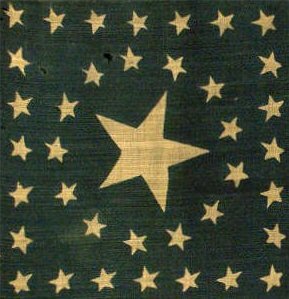 The Center Star is typically larger than any of the rest, and is usually centered on the canton at the center of whatever pattern the flag maker might have chosen for their starry constellation. 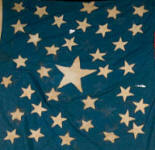 It typically symbolizes the newest state to have entered the Union. 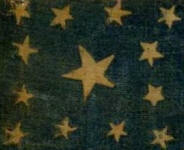 Some Center Stars even have what is known as a halo, a thin outline around the large center star that further increases its boldness. 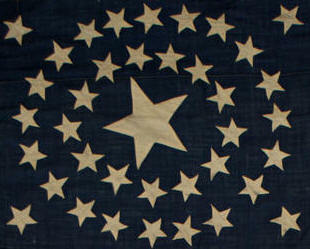 Center Stars are not only symbolically interesting, but they also add great visual interest to the flag itself. 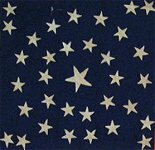 Below is a photomontage of the cantons of several flags within the collection which feature bold, beautiful Center Stars.